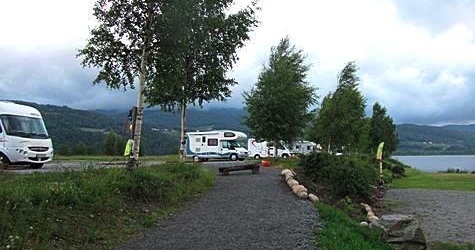 Notodden Motorhome Camp is located next to the lake Heddalsvannet, in the middle of Notodden city center. This is a Motorhome Camp in city center with all the amenities such as electricity, drinking water and a dump station for toilet and greywater. Guests of Notodden Camping AS can also use the municipal dump station. 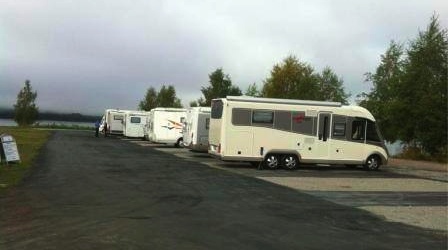 Price for motorhome parking per night is NOK 150, - electricity, water and draining included. Follow the E134, turn at the intersection of family restaurant Bergby's near the city beach, for more information see / click on map. You are welcome to follow us on Facebook, and like Notodden Bobilcamp. 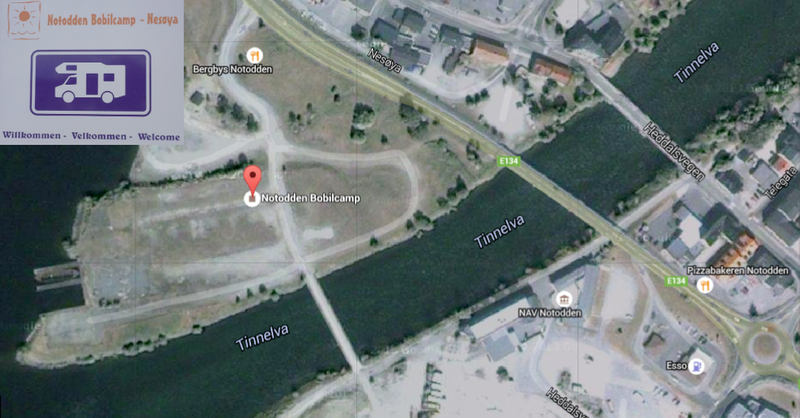 Please note that the caravan camp is part of the official bluescamp, and can not be pre-booked with Notodden Camping.